Tiss cool, More pics of his car? hey alex,im a big fan of tezuka jzx81,can u post up some pic of the car,thanks…jzx rules!! that car brings back memories…. the early guys that brings u super angle! can you grab me one of those stickers? This is what insprired me to build my drift car. 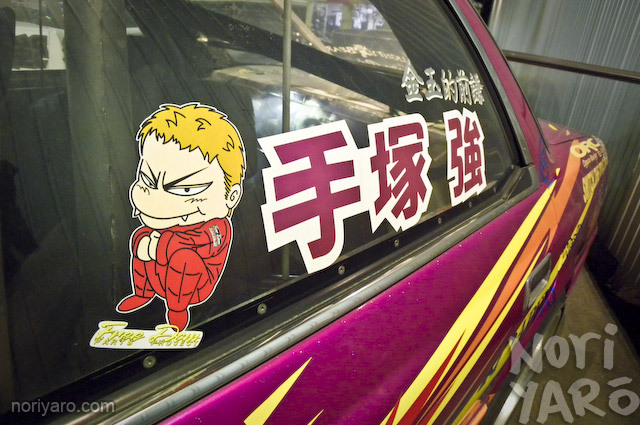 Watching the in-car video of Tezuka thrashing this on one of the old HPI videos was awesome. Pleaase more pics and video..! Wow, I haven’t seen that car in a LONG time! I just assumed it had been moved on to another owner. I would have to agree, definitely in top caricatures for drift vinyl, good catch!